Awesome place. Just be mindful that place is 3 hours away from Tokyo. Check train schedules to avoid inconvenience. 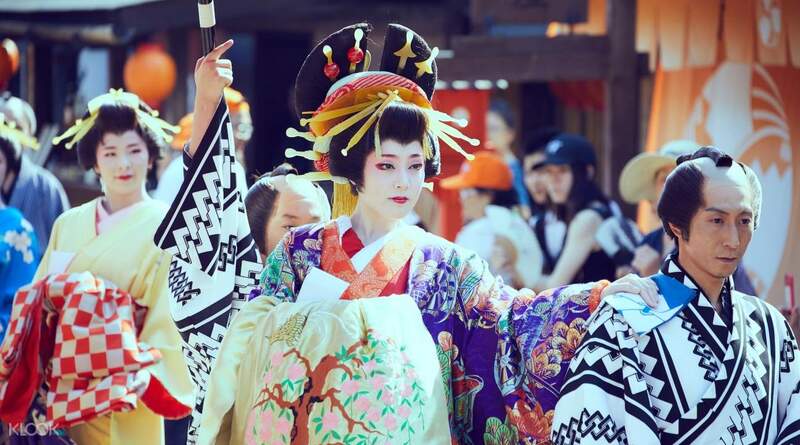 Purchase a ticket to enter the famous Edo Wonderland in the beautiful city of Nikko Japan's Tochigi Prefecture! You’ll have a fun and educational experience inside because you’ll learn all there is to know about one of the most defining eras of Japan. 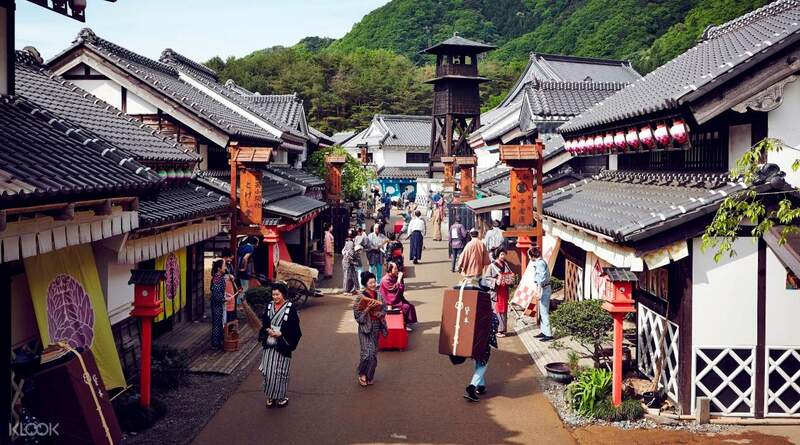 You’ll travel back in time just by walking around the theme park, which is a reconstructed town modeled after traditional Edo architecture. You’ll also get the chance to wear Edo’s most iconic dresses at your own expense; wearing them is a good way of experiencing the culture. There’s a wide variety of performances to watch, activities to join, and sites to visit, such as: 1) the Kanuchi Swordsmith Exhibit, where you’ll learn about the whole process of forging katanas; 2) the Kai Kai Ninja House, where you can train to be a ninja and gain knowledge about their esoteric arts; 3) cultural ceremonies and plays like the Grand Ninja Theatre, Oiran Courtesan Procession, the Wakamatsu-ya, and the Mizugei-za; 4) the Shuriken Dojo where you can throw ninja stars at targets; 5) the Jigoku Temple, where you can see the ghouls and ghosts that lurk around at night. 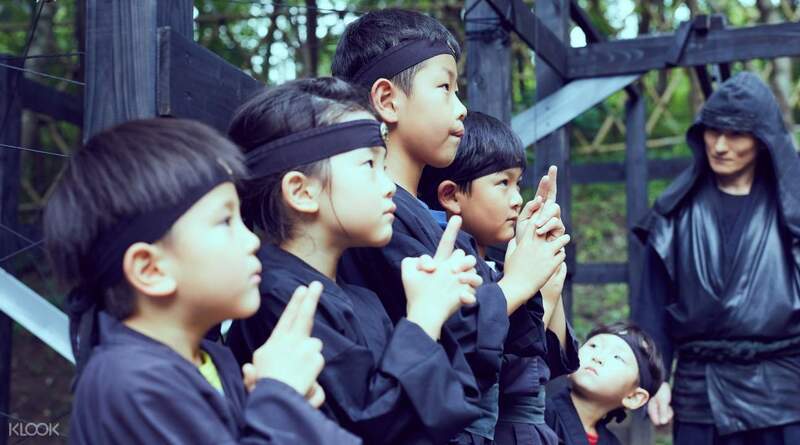 There’s even a work experience for kids where they can learn how to be Edo ninjas, samurais, and policemen. You can even taste some authentic Edo cuisine at the various restaurants in the park, at your own expense! If you’re looking forward to learn about Japanese history, then visiting this theme park is a must. totally love this place! Feels like I travelled back in time to samurai period. the staff are so in character and it feels even more real. redeeming the voucher is very easy and separate counter from regular ticket admission, so it's little to no queue. totally love this place! Feels like I travelled back in time to samurai period. the staff are so in character and it feels even more real. redeeming the voucher is very easy and separate counter from regular ticket admission, so it's little to no queue. MY FAVOURITE PLACE OF ALL TIME. I discovered this paradise by chance via Klook. I drove 2.5hrs from Tokyo to come on a rainy day and I arrived 3 hours before closing. Was I disappointed? NO! I literally want to come back to Japan JUST for Edo Wonderland, and given how awesome Japan already is - that's saying a lot! I don't know why more people haven't heard of it. 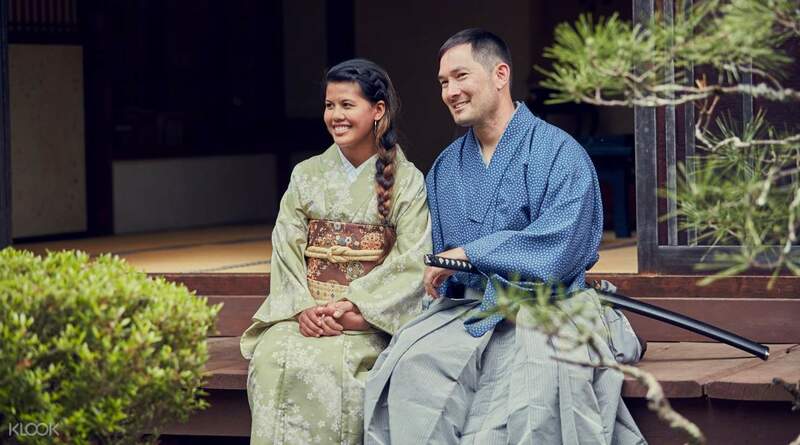 It is literally a dream come true for ANY fan of the Samurai, Edo period, history, Japanese culture, Ninjas, Gaishas and the romanticism of ancient Japan. A live-action roleplaying park. A journey back in time to an authentic looking, high budget movie quality set. A living museum. WOW. MY FAVOURITE PLACE OF ALL TIME. I discovered this paradise by chance via Klook. I drove 2.5hrs from Tokyo to come on a rainy day and I arrived 3 hours before closing. Was I disappointed? NO! I literally want to come back to Japan JUST for Edo Wonderland, and given how awesome Japan already is - that's saying a lot! I don't know why more people haven't heard of it. 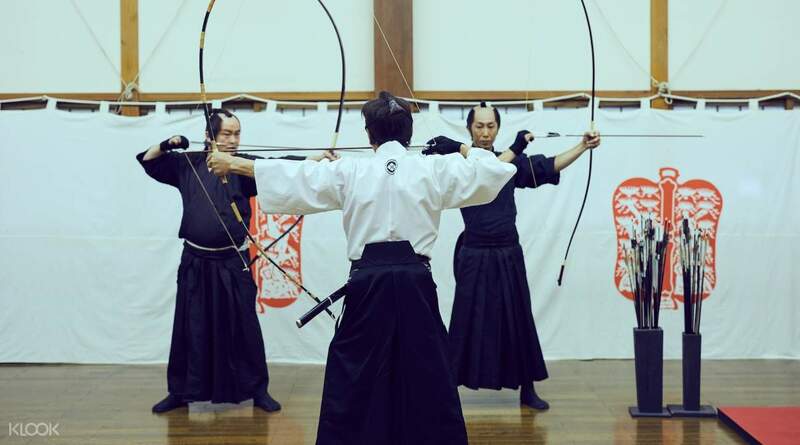 It is literally a dream come true for ANY fan of the Samurai, Edo period, history, Japanese culture, Ninjas, Gaishas and the romanticism of ancient Japan. A live-action roleplaying park. A journey back in time to an authentic looking, high budget movie quality set. A living museum. WOW. Picking this activity was the best decision for our trip to Japan this year. Though the travel time is long and I wished a transportation package was included in this activity, it was still a fun journey to ride the train and enjoy the scenery. As soon as we got out of the train station, I was in awe of how beautiful the place was. Nikko is such an amazing part of Japan. The bus ride was also free going to Edo Wonderland and it didn’t take us a long time to wait. Just be sure you check the bus schedules. Edo Wonderland is a great experience. I knew it would be different from the rest of our activities but I didn’t expect the beautiful scenery and the good activities they have. I personally loved my very reasonably priced kimono experience and the Ninja show. Definitely a must when in Japan. Picking this activity was the best decision for our trip to Japan this year. Though the travel time is long and I wished a transportation package was included in this activity, it was still a fun journey to ride the train and enjoy the scenery. As soon as we got out of the train station, I was in awe of how beautiful the place was. Nikko is such an amazing part of Japan. The bus ride was also free going to Edo Wonderland and it didn’t take us a long time to wait. Just be sure you check the bus schedules. Edo Wonderland is a great experience. I knew it would be different from the rest of our activities but I didn’t expect the beautiful scenery and the good activities they have. I personally loved my very reasonably priced kimono experience and the Ninja show. Definitely a must when in Japan. Edo Wonderland is nice for picture taking. The staff were in costume and the shows were nice. There were only a few people when we went there. It was nice overall but I think it is a bit pricey because the place is just small. Edo Wonderland is nice for picture taking. The staff were in costume and the shows were nice. There were only a few people when we went there. It was nice overall but I think it is a bit pricey because the place is just small. Awesome place. Just be mindful that place is 3 hours away from Tokyo. Check train schedules to avoid inconvenience. Awesome place. Just be mindful that place is 3 hours away from Tokyo. Check train schedules to avoid inconvenience.